Democratic Party (DP) interim president Gift Kalumba has ‘bouted’ from his party and rejoined the Patriotic Front as it ‘is progressive’ to work with government. Two weeks, the DP national executive committee dropped Kalumba from his position, a decision that should have angered him to exit the party he helped found. Former foreign affairs minister Harry Kalaba is linked to the DP who have consistently ‘invited’ him to be their presidential candidate in the 2021 general elections. On Friday, Kalumba together with other senior officials – Stanley Chandindi, Wesley Chibuye, Christopher Kalenge and apostle Patrick Chibezhi left the party they founded and claimed it would be progressive to work with the PF government. They were received by PF secretary general Davies Mwila at the ruling party’s secretariat in Lusaka where Kalumba introduced himself as the current president of DP. But in a press statement, DP national chairman Nedson Nzowa stated that those who resigned were merely exercising their democratic right to associate or belong to an organisation of their choice. “However, I would like to correct a few things that were uttered by the two (Kalumba and Chibezhi) at a meeting arranged by the PF secretary general Mr Davis Mwila. Mr Kalumba is not a founder member of the Democratic Party. He just joined the party this year, 2018,” Nzowa stated. 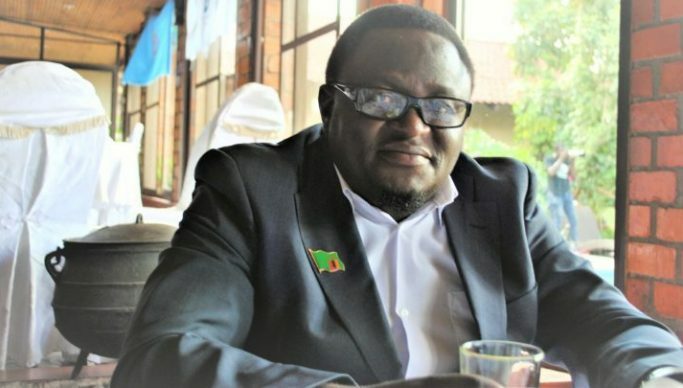 He stated that Kalumba ceased to hold the position of DP president a fortnight ago, saying DP spokesperson Judith Kabemba disclosed, in a statement, that Kalumba was no longer DP president. “So, do not refer to him as the DP president! At the last national executive meeting, he was removed from the position of president and he was in attendance. It is now clear that he was not happy with the decision of the national executive, though in the meeting he was in agreement with the motion,” stated Nzowa. “As for Mr Chibezhi who was a district official and a man of God, it’s a pity that he chose to lie that Hon Kalaba imposed himself as a presidential candidate when the last national executive committee had endorsed him and statements were issued to the press. His friend, Mr Kalumba, was in attendance and he raised his hand in approval. No member was against the motion and Mr Kalumba himself was the mover of the motion! And in a separate press statement on Friday, Kabemba stated that the DP wished Kalumba and other members who defected, well. “The Democratic Party wishes to bid farewell to Gift Kalumba and other members who have left the party to rejoin the PF. As DP, we respect people’s democratic rights to make decisions and choose freely a political party to associate with,” she stated.